Munich - Of all FC Bayern Munich's record-breaking acheivements so far this season, the most remarkable is perhaps the team's nonchalant acceptance of the extraordinary. Goalkeeper is a case in point. The shot-stopper may not steal the headlines in the same manner as his colleagues further up the pitch, but having conceded just seven goals in 21 league games to date, the Germany No1 is no less worthy of recognition. The 26-year-old gave a characteristically understated response when asked about his feats: "The good thing about not letting any goals in is that it means we usually win." Yet even by Bayern's standards, this term's defensive record has been exceptional. 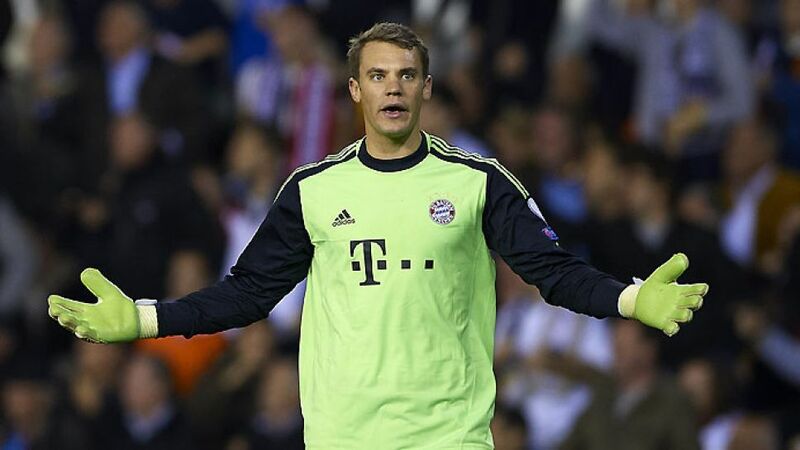 Neuer has not yet been beaten in 2013 and is on course to crush the club's previous benchmark of just 21 goals conceded in a season, set in 2007/08 by Oliver Kahn and his understudy Michael Rensing. Bayern have been so effective at rebuffing opponents this season that Neuer's current statistics are the best in the club's history. No other Bayern keeper has had to fish the ball out of the net as rarely as the present incumbent - only once every 168 minutes on average. Not even goalkeeping legend Oliver Kahn could match that. If Jupp Heynckes' men continue their current rate of only conceding a goal every three games, by the end of the campaign the Bavarians will have let in just four more. "I view the few goals against as a team success," said Neuer, who resorted to some rather unsual measures to keep his reflexes sharp during last Saturday's 4-0 hammering of FC Schalke 04. After goals three and four went in, Neuer turned to the by-line behind him, where substitute Thomas Müller helped keep the otherwise under-employed shot-stopper warm by firing headers at him. Upcoming opponents VfL Wolfsburg can only hope Neuer's lack of practice will work in their favour on Friday's Matchday 22 opener.